Rivercity Cycle is hosting DEMO DAYS on June 23rd. Book a ride on one of their select bikes! $20 per day for a ride and $5 BBQ! 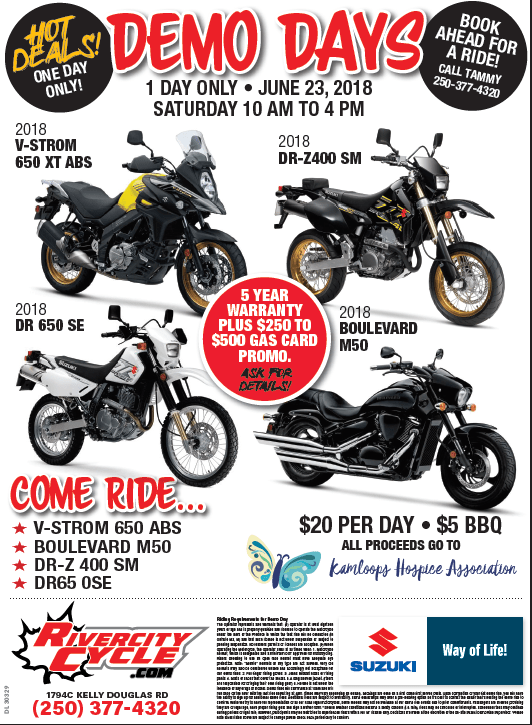 Even if you don’t want to ride a bike you are welcome to attend and join the BBQ! All proceeds go to Kamloops Hospice.